The Wipers Times tells the incredible true story of a satirical newspaper created in the amid the bloody battle of the Somme. The British soldiers might not have known how to pronounce the name of the Belgian town where they found themselves, Ypres, but when they found a printing press they knew exactly what to do. Following a sell-out season at the Arts Theatre and national tour, Ian Hislop and Nick Newman's The Wipers Times makes a triumphant return to the West End’s Arts Theatre. In the trenches of the first World War, a satirical newspaper was born. This irreverent, cheerful and at times subversive magazine brought heart and laughter to the darkest of times. The Wipers Times tells the incredible story of that newspaper and the men behind it. 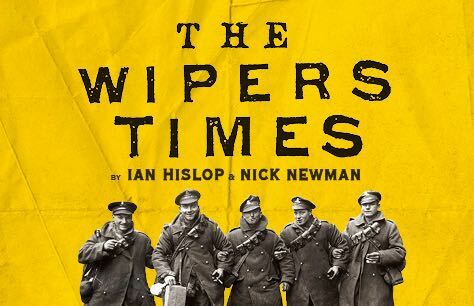 Book The Wipers Times tickets now for the limited 7-week return to the Arts Theatre. Make sure you get the best seats at the best prices.